After Very Hardworking by contacting Toppers of IES we have got IES Toppers Made Easy Class Handwritten Notes. Here We Are Sharing MADE EASY Delhi Classroom Handwritten Notes Of Mechanical Engineering Branch Paper for IES 2020. These Made Easy Handwritten Class Notes is Printed with the high-quality printer so that visible quality should the best. These Handwritten Notes are full of Quick Tips & Tricks Which Are Very Very Important For Your Exams Like INDIAN ENGINEERING SERVICES ( IES ), SSC JE, RRB JE And SSE, PSUs Etc. You Can Download This premium MADE EASY Handwritten notes Mechanical By Paying some amount of Cost. 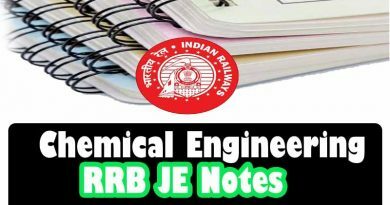 These handwritten notes of Mechanical Engineering for IES 2020 will help you to Prepare Other different competitive exams also like UPSC, State PSC, Railway Exams, Junior Engineer, Senior Section Engineer and so on. These Made Easy handwritten notes for Mechanical Engineering will help you to understand all key concepts. We’re glad that you found what you were looking for. It is our goal that you are always happy with what you bought from us. If You Would like to get Good Marks in Your Upcoming IES 2020 Exam, then Buy all Handwritten Notes and start preparation from today. Mining Engineering GATE Toppers Class Handwritten Notes Download! Is it possible to get 1-2 pages demo to check the quality? I bought som part 1 by paying Rs 45 but not any single message came from your side for confirmation of material. Amount is deducted from account. Please forward the note soon..thank you . Inbox or spam folder, Download it & start Preparation. I bought SOM part 1 but the file is named as GATES NOTES. What about IES ??? There are many number of files and notes are in our website database so identification for all files are very important , File Name is manually edited which is done & Rename from my side to identify uniqueness.Don’t worry its 100% IES Notes if you have bought with IES Category from website theorypoint.com , All IES Category notes contains full syllabus for IES Exam , So Don’t Take tension and start your preparation..